FLICKR, WOLFGANG STIEF A modified way to transfer nuclear DNA from a woman’s oocyte into a donor oocyte may result in a more efficient mitochondrial replacement therapy (MRT), which could decrease the risk of passing mitochondria DNA (mtDNA) disease on to offspring. MRT—a modified in vitro fertilization technique that results in a “three-parent” offspring—promises to give women with faulty mtDNA the chance to have children of their own without the risk of passing on maternally inherited mitochondrial disease. 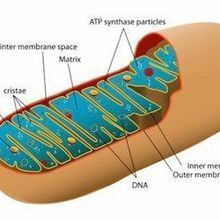 Yet current methods for transferring the mother’s nuclear DNA still allow some of the defective mitochondria to hitch a ride into the donor egg. In a study published today (June 8) in Nature, researchers at Newcastle University in the U.K. and their colleagues report having improved upon the pronuclear transfer technique, increasing the number of viable zygotes produced and reducing the number of defective mitochondria transferred along with nuclear DNA to the donor cell. “It’s a very beautiful and carefully conducted study that has improved the pronuclear transfer technique,” said Dieter Egli, a regenerative medicine specialist at the New York Stem Cell Foundation and Columbia University who was not involved in the work. One form of MRT is the transfer of a nucleus from the mother’s oocyte into a donor, enucleated oocyte with healthy mitochondria followed by fertilization. Another way, used by the Newcastle-led team, is to transfer both the sperm and oocyte pronuclei from a recently fertilized egg in which these pronuclei have not yet had time to fuse and form the zygote. 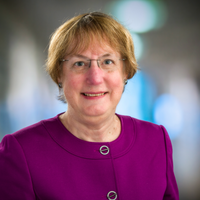 Using embryos with an abnormal number of pronuclei, Newcastle’s Mary Herbert and colleagues had previously demonstrated pronuclear transfer for MRT in human embryos. Because that study used only abnormally fertilized embryos (with either fewer or more than two pronuclei), for the present work, the researchers tested whether pronuclear transfer from normally fertilized embryos would result in viable blastocysts with healthy mitochondria. Tinkering with transfer timing, the team found that earlier transfer of the pronuclei (about eight hours after fertilization) resulted in a higher efficiency of zygote survival in vitro. Altering certain transfer conditions—omitting the addition of sucrose during oocyte enucleation, and using frozen rather than fresh patient oocytes—resulted in almost 50 percent of samples having undetectable defective mitochondria within blastocysts. 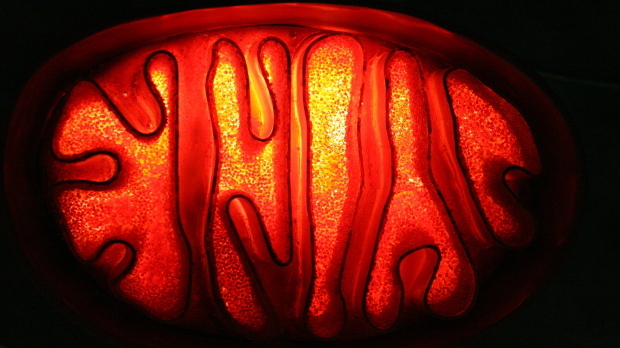 A total of 79 percent of the three-parent zygotes formed had fewer than 2 percent mutant mitochondria carried over by nuclear transfer. The researchers then created and passaged five embryonic stem cell lines from the inner cell mass of the blastocyst—destined to become the embryo—to test whether any of the mutant mitochondria could populate the cells and potentially outcompete the healthy organelles. They found one cell line that originally had a 4 percent carryover of mutant mtDNA in which the ratio of mutant to donor mitochondria increased with passage, suggesting that mtDNA instability can occur. 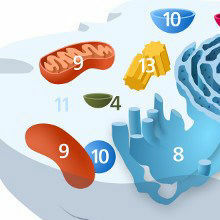 Egli and colleagues last week (June 2) published a study in Cell Stem Cell, using a slightly different technique, which supported the idea that even a tiny number of mutant mitochondria can multiply and become the most represented form of mitochondria in a cell. “At its simplest, this means that [our] technique might not be 100 percent effective in all cases in preventing the transmission of mutated mitochondrial DNA,” Herbert said, discussing her team’s work. 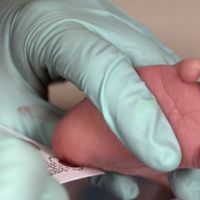 The U.K.’s Human Fertilization and Embryology Authority will review this study when deciding whether pronuclear transfer for MRT should be used in the clinic, said Herbert. “The next phase of our research will focus on further reducing the risk of a possible resurgence of mutant mitochondrial DNA,” Herbert told The Scientist. Knoepfler and Egli both said they believe the technique is not yet ready for clinical use. L.A. Hyslop et al., “Towards clinical application of pronuclear transfer to prevent mitochondrial DNA disease,” Nature, doi:10.1038/nature18303, 2016.